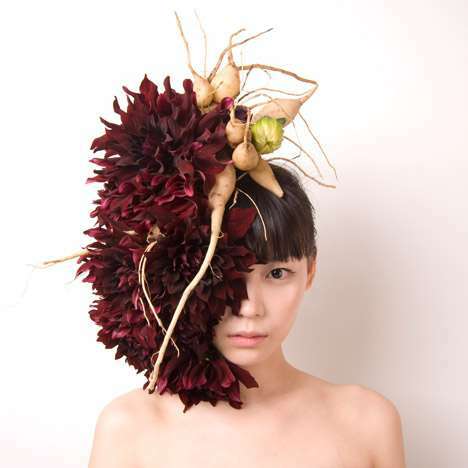 Japanese artist Takaya Hanayuishi uses very unique items to create these incredible headpieces. 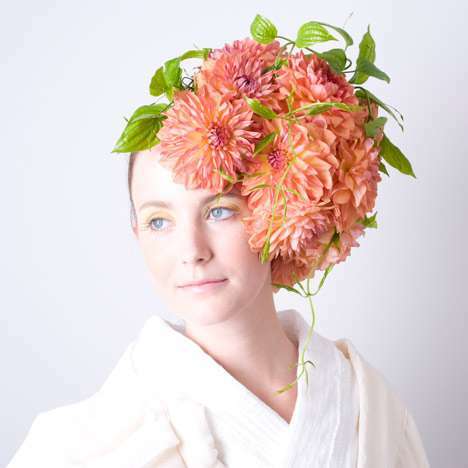 Using fruit, vegetables, and flowers, these creations are used in live performance pieces, photo shoots, and weddings. 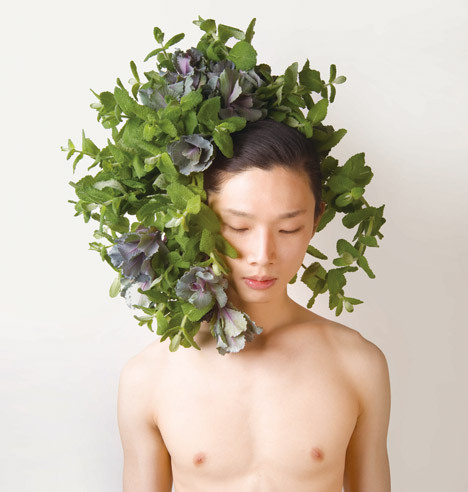 Originally studying culinary arts, Takaya started working with plants and food in 2004. 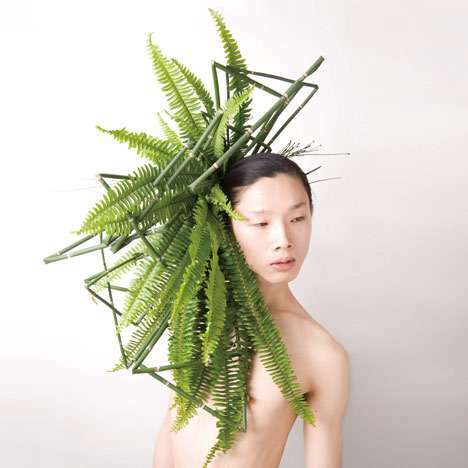 He calls his work “unity of human and nature”. After arranging these living head pieces he then prunes them with hair scissors to finish the look. 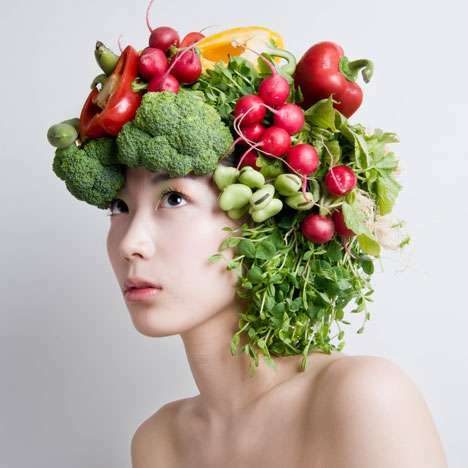 Definitely eco friendly hair art, I love the lush and vivid impact they have when photographed and if you’re hungry after maybe you could take a bite! 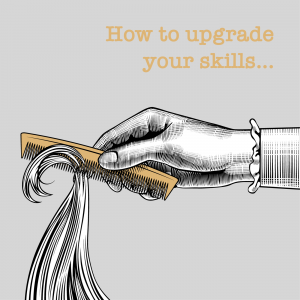 Christine is a frequent contributor to our blog and has a love for design, crafts, and all things hair. In her free time Christine can be found gardening, backpacking and mountain biking. She's still searching for a good backpacking hair style!